2 Bedrooms | 2 Baths | Study or Opt. 3rd Bedroom | 2 Car Garage Lovely open floor plan with a beautiful foyer and optional 3rd bedroom or study. Master suite can be optioned to accommodate a larger master retreat. Large great room off kitchen with walk in pantry and dining area. Perfect for those wanting a low maintenance ranch home in an active adult community with all of the amenities! More than 100 years of experience are built into every Taylor Morrison home. We are one of the top public home builders in the United States. In Denver, our homes offer floor plans consistent with the Colorado lifestyle. Our homeowners appreciate the beauty and detailing of our luxury ranch and two story floor plans. Our passion for customer care means we listen to our customer’s suggestions and build those suggestions into our homes. Our commitment extends to building a home our homeowners can be proud of: a home tailored to meet their specific needs. At Taylor Morrison, “inspired by you” is more than just a catchphrase…it’s our passion! 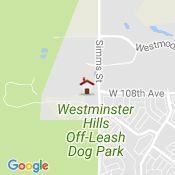 Located in Broomfield at 108th Avenue and Simms Street. Nearest cross streets are Wadsworth Blvd. & 108th. Head west on 108th to Skyestone monument. Visit sales office located at 12091 Red Fox Way.